Customer Relationship Management (CRM) makes the customer the focal point of the strategic orientation of a company whereby all processes are involved. By analysing customer behaviour from the past, it should be possible to predict future behaviour. Customer segmentation and assessment of potential help in the prioritisation of customer contact. 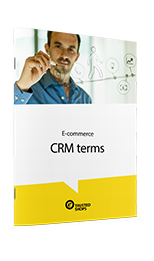 CRM systems are used to optimise customer service and, together with a well-maintained data bank, create a basis for analyses.